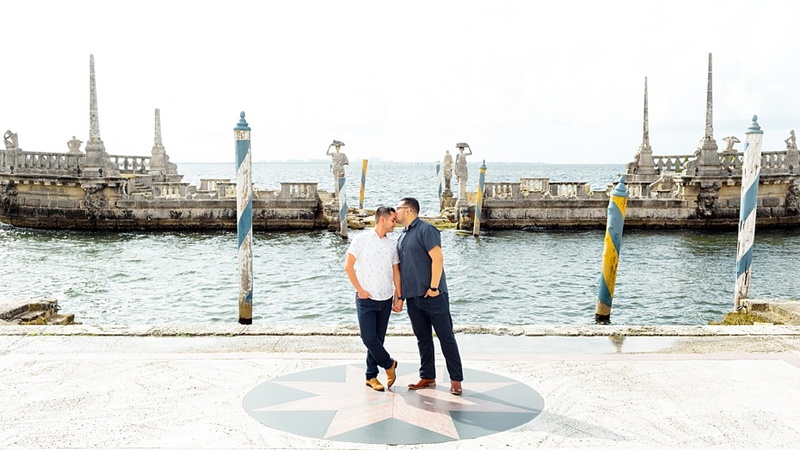 Kevin & Aaron wanted to have their engagement shoot at the stunning Vizcaya Museum & Gardens, a stunning villa in the heart of Miami and who am I to object. The grounds, the background, the bounce light…. Anyway enough daydreaming. These two were so much to work with. Adorable, funny and so in love. Kevin and Aaron first met at work. Shy at first it took some time for them to have a conversation beyond the few words exchanged in the hall. But once they started talking, that was it. They were both smitten. In Aaron's own words, they complete each other. When one has a great idea, the other immediately starts doing research to make it happen. But Kevin kept one idea to himself and did all the research and planning solo. He pulled out all the stops when it came to the proposal. Proposing on Aaron's birthday over dessert at the gorgeous Anson 11 restaurant. Aaron had told him he didn’t want him to spend alot, to which Kevin replied "I know you didn't want me to spend a lot of money tonight but I don't see it as spending a lot of money- I see it as spending the rest of my life with you". 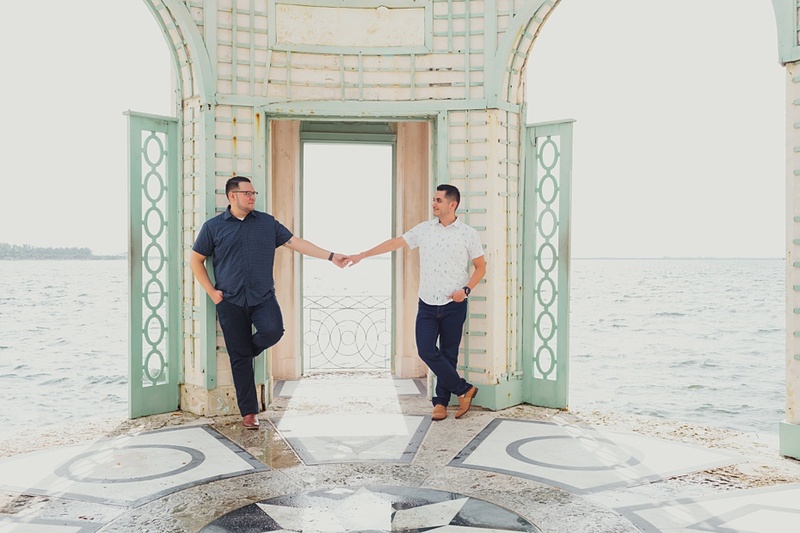 and then the waiter presented me with dessert plate which had "Will you marry me" Amidst the tears Aaron said yes and that is why we are here in the amazing Vizcaya Museum & Gardens, for their amazing engagement shoot! I love it when a couple are so relaxed with each other that all I have to do is give a little direction and they do the rest. I just have be there to capture every single romantic, giggling and fun moment! This location is a dream to shoot in. So many picturesque areas that you would never run out of new places to shoot amazing photographs. Thank you Kevin and Aaron for letting me capture the love you two have and for allowing me help you mark this occasion with you.